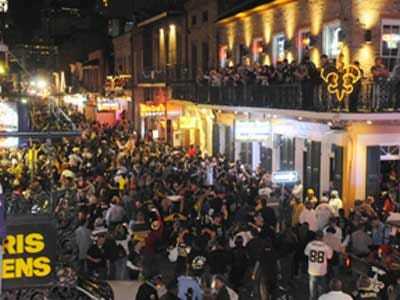 During the post-Katrina mayhem in New Orleans, police and journalists clashed in city streets. Several journalists testified in court on Tuesday that while they were trying to capture police activity, officers violated their constitutional rights by trying to stop them — citing one incident where they were threatened with guns pointed at them. In December 2007, Greg Griffith and Noah Learned, two guys who met at Kent State University in Ohio and co-founded Cop Watch together, sued city officers saying that they were arrested at a Carnival parade that year while trying to tape police conduct. The officer broke his glasses, sprained his wrist and forced him onto his knees during the arrest. The American Civil Liberties Union backed up their lawsuit, which cites 11 other incidents since 2005 in which people were arrested or allegedly threatened while videotaping, photographing or observing police officers, according to the Associated Press. Jurors also heard from Times-Picayune city editor Gordon Russell, who was driving through New Orleans with a New York Times photographer after Katrina when they encountered a group of officers in the aftermath of an apparent shoot-out. “We were ordered out of the car at gunpoint and the police confiscated my notebook and the photographer’s camera for a time,” Russell testified. Officer D’Meecko Hughes, one of two officers being sued, acknowledged in court Tuesday that citizens have a right to film police activity but said the two men were arrested after they got too close to police.